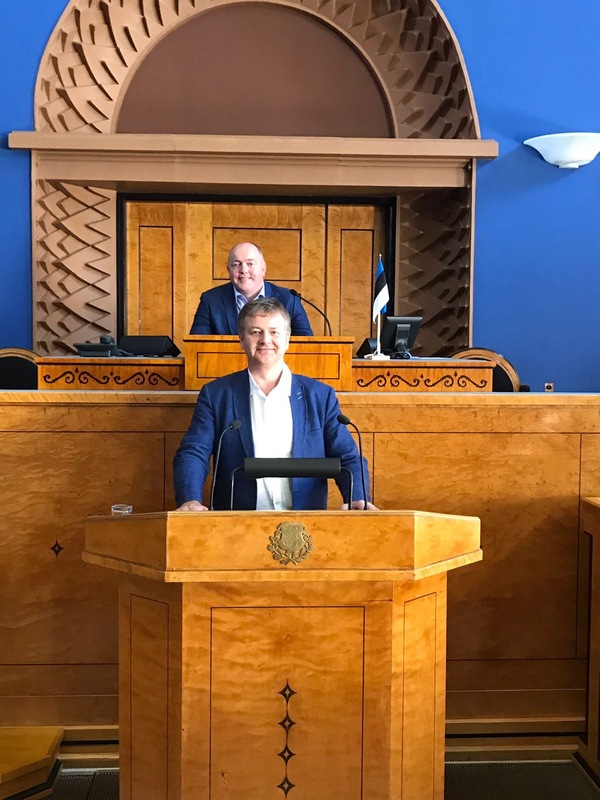 CDLS visits the Estonian Parliament - News - Cardiff & District Law Society. 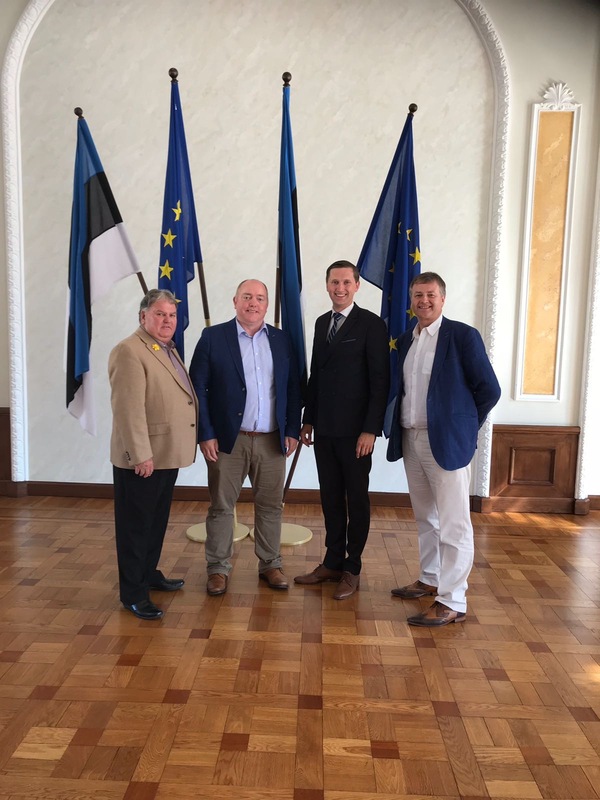 A delegation from Cardiff Law Society recently visited the Estonian Parliament. It consisted of Clive Thomas, the President of the Society, together with Secretary Michael Walters & Phillip Griffiths Council member and Senior Clerk at 30 Park Place. They had an excellent meeting with Jaak Madison,MP and Deputy Chairman of the European Union Affairs Commission. He explained the work of the commission and discussed Brexit issues. Our delegation also explained our concerns and those of the Law Society, regarding the future collaboration between lawyers in Europe and the UK, the choice of jurisdiction, the law and enforcement of judgments and also security and policing. They also discussed Wales, the Legal scene in Cardiff and the growing body of laws emanating from the Assembly and calls for a separate jurisdiction. Our delegation was then treated to a very informative tour that included a visit to the plenary hall - where they were allowed to sit in the MPs places - even the seat of the President of the Republic of Estonia! The story of Estonia and its successful fight for Independence, which it achieved in 1991, is fascinating and truly uplifting. Grateful thanks go to Phillip Griffiths and his Estonian wife Annika for arranging the trip and acting as our ‘tour guides’!